Adds tools focused around ease of use when piping! Orphan finder - Hover over any belt or underground belt and it will highlight any underground belts nearby that are missing a connection. The same applies with pipes. 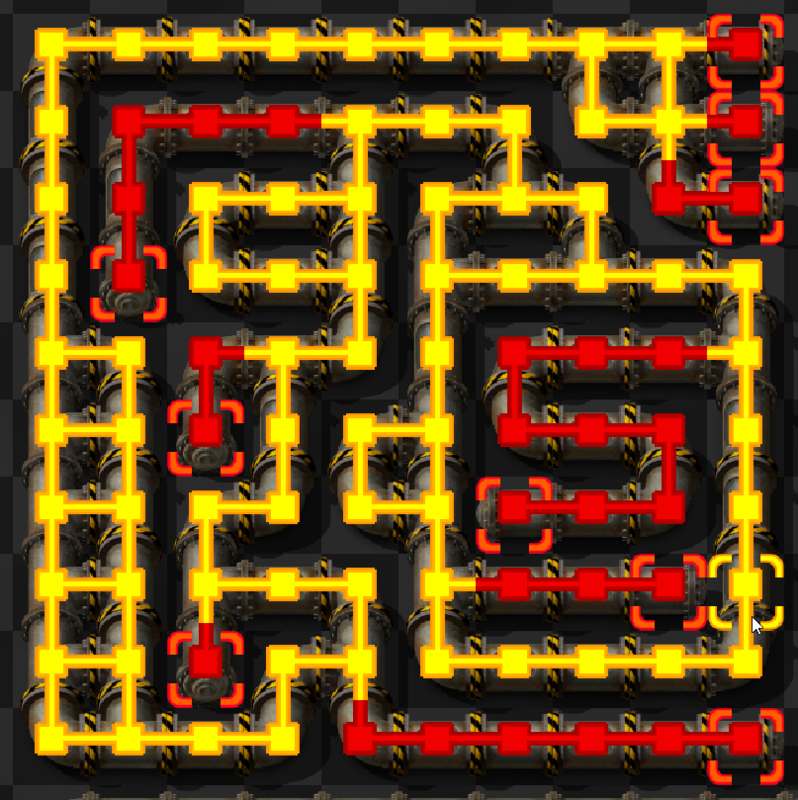 Pipe cleaner - Use the selection tool to select a single pipe or even group of pipes with a fluid in them. The script will recurse through all pipes connected that have the same fluid as the selected fluid and remove it. Pipe clamps - Press <CTRL R> on a pipe to "clamp" it to it's current connections. This locks it in place without allowing it to connect to anything else. Selection tool can be used to lock an entire area in position, or unlock an entire area. Automated scripts prevent pipes from mixing fluids that don't match when unclamping, or more in depth during placement if auto clamp mode is on. Auto Clamp Mode - This allows parallel pipe placement of empty or full pipes. Will prevent fluid mixing if they do not match. See below gifs for what this means. You can toggle autoclamp mode by pressing <CTRL SHIFT C> or by typing /autoclamp <off/false, on/true>. Highlights nearby underground belts and pipes that are not connected to anything underground when hovering over belts or pipes. Can be disabled per player in mod options. Call a plumber on any fluidbox by using the selection tool in the blueprint menu. This will loop through all connected pipes and remove the selected fluid allowing your pipes to freely flow again. Want to see where all the underground pipes around you go? Validate your connections by pressing <CTRL SHIFT P> and all underground pipes will be shown and orphans marked (Compatible with Advanced Fluid Handling mod). Press again to turn them off. If an orphan is found (An orphan is defined as having one or no connections) on a pipe, pump, or pipe to ground, it will mark that entire branch to the nearest junction in red. The remainder of all pipes will be marked in yellow. If there's no orphans, it'll mark it all in green! Green is good! Pumps can even verify if they're connected to a rail! Want more control of your pipes? Clamps have you covered! Just start drawing a pipeline and the script will handle it for you! 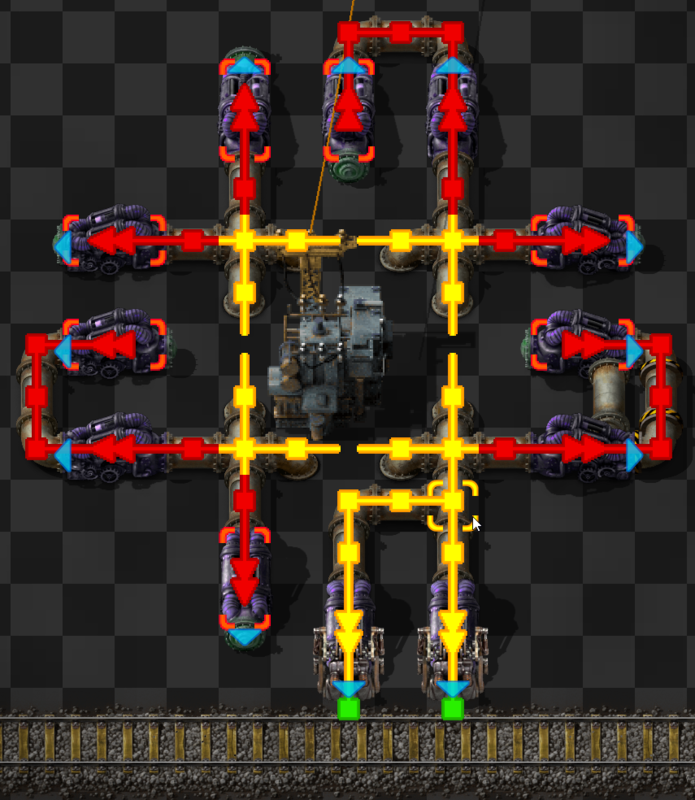 This automagically prevents fluid mixing when placing pipes, and even allows parallel pipe laying when the pipes are empty, or full, even with the same liquid.